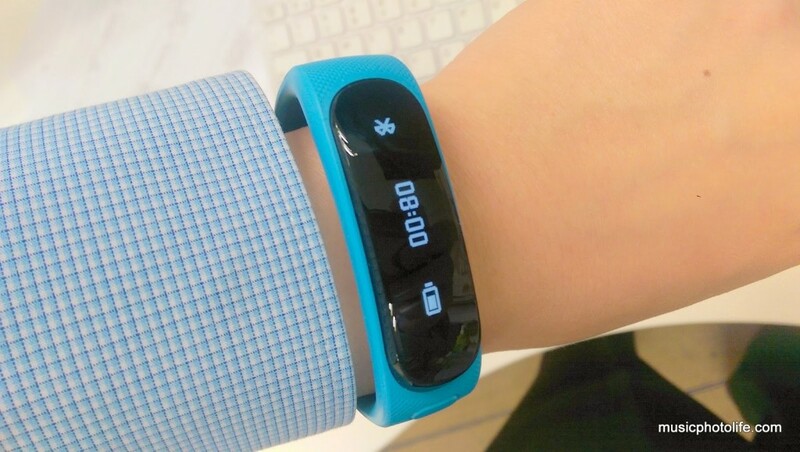 If I were to summarise what Huawei TalkBand B1 is, I would say it is a Bluetooth headset that functions as a fitness band. It appears like an ordinary fitness band, but when I place the TalkBand to my ears, observers stared in amazement. The TalkBand has a single button to power the device, activate the display, answer calls. Voice quality is decent, and the other party seems to have no problems hearing me when I use this in outdoor environment. The strap-band is actually a dock with a hidden USB port to charge the device. Very convenient, considering most other activity tracker requires you to remove the hardware from the strap to plug into a separate dock to charge. Multi-purpose activity tracker that lets you answer phone calls by ejecting the device and place it on your ear. It is great for people who are looking for a Bluetooth headset as well as a basic activity tracker. This is also an awesome way to store your Bluetooth headset without wearing it all day. 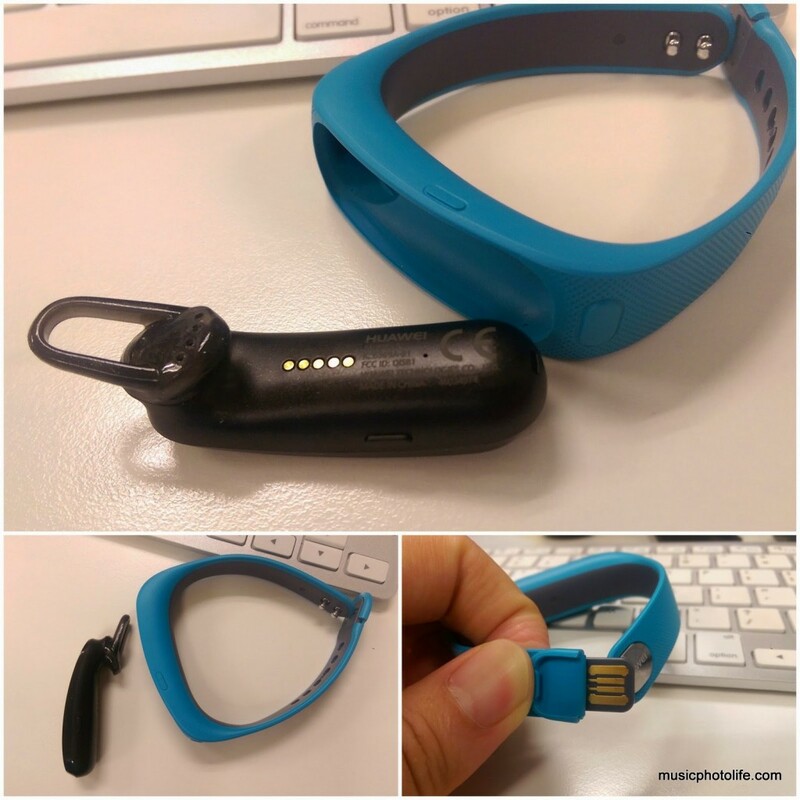 The TalkBand detects whether the headset is on the fitness band and directs the audio accordingly. So if the headset is undocked, smartphone audio and voice calls will be passed to the headset. Otherwise, audio and voice calls will be played on the phone. This implementation allows me to choose whether to listen audio from my smartphone speaker (when headset is docked on the band) or to listen from the headset (by removing headset from the band). On normal headsets, I would have to manually change the audio source between headset and smartphone. Rather good battery life. Mine lasted over 4 days. It depends on the duration of your talk time via the headset. You can track the battery percentage via the TalkBand app on your smartphone. Rated IP57 waterproof (submerge in water up to 30 mins), so you can take your calls in harsh weather conditions. The TalkBand app has basic features that will not satisfy consumers who needed a more comprehensive tracking app. In comparison, the Sony SmartBand Talk and Lifelog identifies the type of activity you are engaged in and breaks them down. I did not enjoy as much using the TalkBand compared to the other activity trackers mainly because I don’t make a lot of voice calls and the non-headset functions are not better than the competitors. But when I do use it for taking calls, I find the TalkBand immensely handy. It feels light on your wrist, and a great way to store the headset when not in use instead of hanging on my ear all the time. At S$249, you are really paying for a snazzy Bluetooth headset rather than a comprehensive activity tracker. Available at Huawei retail store at Plaza Singapura or their online store.